Macross. Beloved anime of literally trillions of people the world over. Who would have thought that Shoji Kawamori’s sci-fi epic created in 1982 would go on to spawn 857 jillion film and television sequels, spin-offs, universes, lunchboxes, novelty slippers, earbuds and Hannukah menorahs? Yet amongst all that tat (most of which I made up), there lies a true oddity. An oddity that is actually quite rare to find today. An oddity I was very lucky to stumble on purely by accident. That oddity, is the Macross SF Challenge Game (超時空要塞マクロス SFチャレンジゲーム). 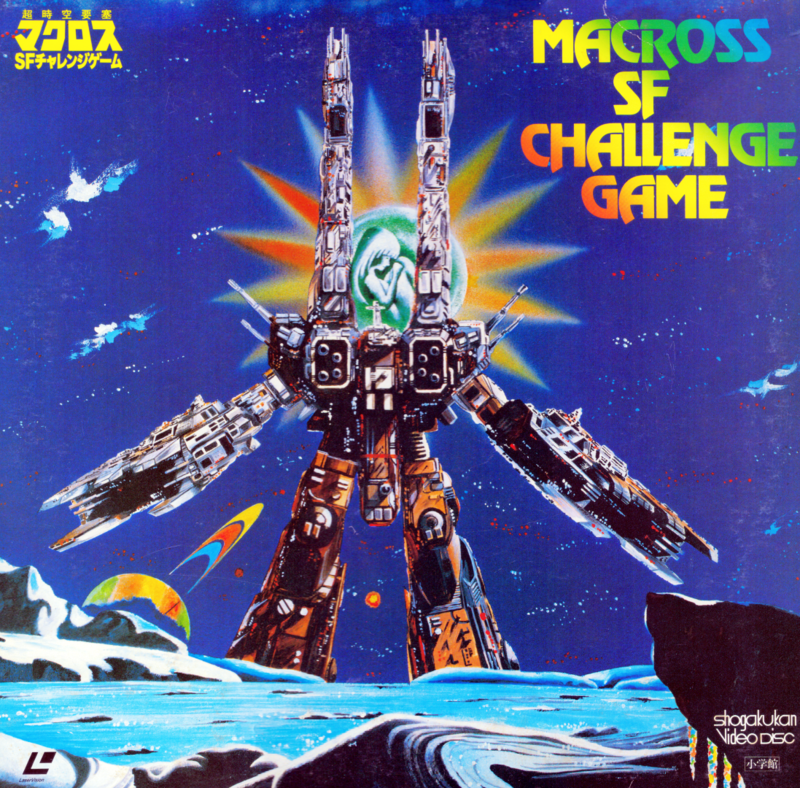 Released in 1984 on both Laserdisc and VHD formats, Macross SF Challenge Game was not the first video game to bear the Macross name (that honour goes to The Super Dimension Fortress Macross released on the Arcadia platform in 1982). However it was the first (and last) game released on the Laserdisc and VHD formats. Good luck trying to find a copy for sale today. The title is extraordinarily rare. It just so happened that I was searching for an entirely different Laserdisc at the time and this oddity appeared in my search results. The description wasn’t exactly what you would call ‘detailed’ and thus I had to buy blind from a weak collection of words in Japanese and a fuzzy photo. Regardless, it was totally worth it. This disc appears so rarely for sale that if you see a copy, no matter the condition, just buy it. Which is exactly what I did. Sure an insert and the obi strip were missing, but the instruction insert, slipcase and disc were all present and in excellent condition for their age. Playback on my Pioneer CLD-D925 was excellent with the disc showing only a handful of marks and crystal clear audio. Plenty of time to preserve this disc. So what is the Macross SF Challenge Game then? Essentially it is a trivia quiz on a Laserdisc. Nothing overtly spectacular then, however consider this was released nearly 35 years ago and the technical feat then appears quite considerable. The disc itself is a mix of video clips from the Macross series and hundreds of still images, animations and text. Upon inserting the disc and hitting play, a short intro sequence plays before the title screen appears. Pressing the skip, or frame advance button on your Laserdisc remote control will advance you to the next slide, a title card explaining the rules and chapter numbers of questions on the disc. It is here where I got a bit muddled, mainly thanks to the poor Google translation of the instructions. It is unclear quite how to advance through the disc other than frame by frame, which would be both laborious and soul destroying. If you decided to just press the play button, the disc will race through a plethora of still images and animations before stopping at the start of a video clip. Think of it as one of the old ‘data blast’ sections at the end of an episode of 90’s UK video game show Bad Influence. Thanks to this clarity muddle I was unable to get a proper grasp on what to do, so I gave up and had a look at the video clips instead. There are a good few of these littered across the disc, almost all of them are accompanied by a narrator and summarised with a still image trivia question at the end of the segment. Answering correctly will advance you to the next chapter. The disc ‘knows’ when you are cheating too, thanks to a nice little graphic that appears after every question should you try to frame advance your way through the disc! In all honesty, if you cannot read vast swathes of Japanese text then this disc is really not for you. A lot of the questions appear quite dull and you’d be forgiven if you thought you’d purchased a Gardeners World or an Open University box set. Either these questions are about the annual rainfall on Earth or someone has an overly keen eye for charts and statistics. As a curiosity, an oddity and a true rarity though it is utterly essential and an extremely important disc. This is why I feel this disc needs rescuing and digitising. I initially wanted to put together a community effort to get this title translated in to English (and other languages if people so desire). Once every still image and video clip has been captured a DVD ISO structure could then be planned and authored making this the first time ever that Macross SF Challenge Game will have appeared in both English and on a format other than Laserdisc or VHD. I feel this needs doing for the sake of preservation, before this disc is lost forever. Which is partly a reason as to why I bought it aside from it’s sheer rarity and niche value. 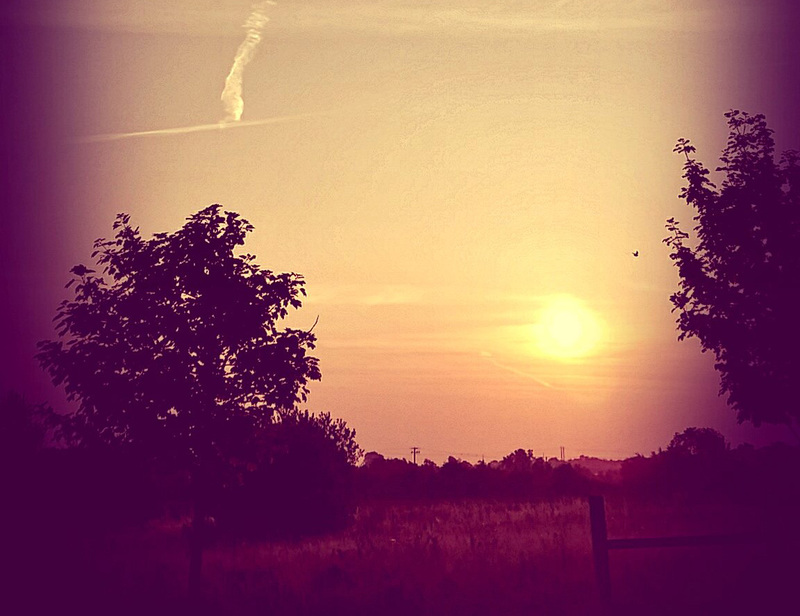 Now it is just a question of finding both the time, and the talented people to help me do it. NOTE: All screenshots, cover and inlay scans are my own work. Please credit me if you wish to use them. Thank you. Previous Previous post: They Might Be (Yomiuri) Giants. Or Tigers, The Choice Is Yours. Next Next post: Topps Of The Pops. The Sports Talk Player & The Future Of Card Collecting.